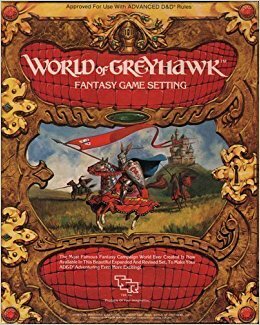 Vote Greyhawk! New D&D Survey up. Wizards of the Coast has a new survey up and among the question it ask what DnD setting you are most interested in. 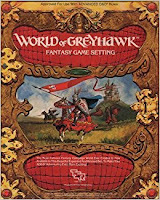 While it not likely that there will be a Greyhawk revival in light of the Forgotten Realms juggernaut it is possible to get it listed as one of the approved settings on the DM's Guild. If that happen the fans can take it from there. Columbia Games has been running periodic discounts on the different PDFs for Harn. There is a particularly good deal on the Harnworld Master Module for $5. Now what this is a series of articles that provides an overview of the Island of Harn and it's history. It's companion is the Harndex which is a mini-encyclopedia of one paragraph entries on the various locations described in the Master Module. Of course the articles, like this one for Peran, flesh these locations out in far greater detail. Finally Harn articles are designed to be placed in three binders. So if you were to print the PDFs out and punch them, you would get what Columbia Games sends out in print. Note that the City of Coranan, the largest city in Harn, has a discount as well. Finally if you want to use the linked to take advantage of the discounts make sure you go to the last post to get the latest. They generally expire in a week. First off a referee has to be willing to let his players trash his setting. If you are going to get bent about the players taking out the Emperor or the local tavern keeper then a sandbox campaign is not likely going to be enjoyable. Assuming that the players are exhibiting good sportmanship (i.e. good manners while playing a game), what is the worse thing you can imagine the players trying to do? If it occurs can be you remain fair, and will the campaign still be enjoyable for you? If the answer is yes then you will succeed at being a referee of a sandbox campaign. I loosely sort what I do for my campaigns into several categories, the Initial Context, the Bag of Stuff, and a World in Motion. This is where I do world building. For me, the three main items I need are geography, NPCs, and locales. Of the three locales wind up looking like a traditional adventure after it written. I have two broad grouping of the stuff; the specific (for example the City State of the Invincible Overlord), the generic (random castle town of 500 to 1000 people). For NPCs specific (Llewellyn the Blue, wizard of City-State), or generic (Tharian Horselord 6th level fight equivalent to a knight socially). When I use something generic and it something that the players will continue to interact with then I will make notes , copy and paste the generic writeup and make something specific out of it. In general I have a lot more generic material than I do specific. In addition I use material from other setting constantly notably Harn and Ars Magica altering to what I need. If players keep interacting with the place I will gradually replace it with something similar that my own original work. Although I usually do this between campaigns not during a campaign. I wrote a series called How to build a Fantasy Sandbox to help people to jump start their Bag of Stuff. For me what happened is that I started out with the Wilderlands of High Fantasy and keep running campaign after campaign in the setting. Over the years it morphed into it own thing the Majestic Wilderlands. It is my experience that most referee do not stick with any one setting for long. 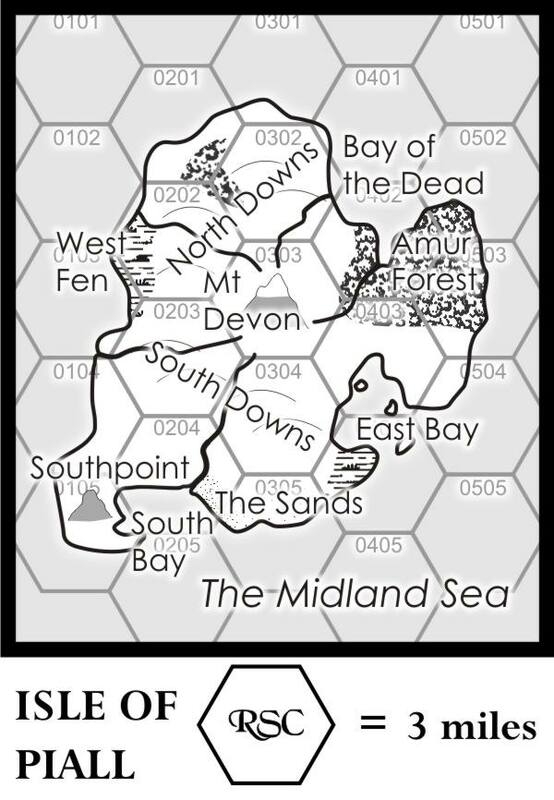 However with the way I developed the Majestic Wilderlands, you can start small with a bare sketch of the larger world and keep adding to it as you run successive campaigns. The "How to make" series start off with making that larger sketch and then narrows down to a specific area with the things you need in order to build a toolkit to handle whatever direction the players opt to pursue. This is about what you do during the sandbox campaign to bring it to life. For me there are several things I try to do. First I view the current situation from the PCs perspective, I visualize in my mind what they would be seeing if they actually were standing there. Then I use what I know about their interests, goals, and motivation to filter that into something that hopefully fun and interesting. I also rely heavily on stereotypes and assumptions to cut down on the verbal bandwidth needed. I have to stress if you want to use stereotypes and assumptions, then you have to make sure they are true MOST of the time. For example a common issue I see that many players won't interact with NPCs because they all got plots and plans that at the very least complicate the PCs lives if not direction hinder what they are trying to do. I make sure that I roleplay most of my NPCs as people just trying to get on with their lives. That by and large they will be somewhat friendly and helpful if there no other reason to dislike the PCs. Especially for merchants. Keep a running count on a notepad if you have trouble with this. Next the setting has a life of it own and doesn't give two shits about what the players want to do. To handle this I list out goal and motivations of the NPCs most likely to effect the PCs' circumstances. It can range from the King to the local barkeeper. Then I construct a time line of what will happen as if the PCs didn't exist. This timeline is used as a Plan of Battle. A plan of battle is useful because it provided a military force a framework in order to achieve its objective. However history is full of example of generals who lost because they were rigid about executing their plan. A good general will change and adapt as the circumstance of the war changes. So it is with this timeline. The timeline is a framework which is meant to be changed after and during a session in light of the PCs did or did not do as their characters. In a sandbox campaign this where most of the referee creativity will be focused. When the PCs do something there will be a lot of possible consequences. With one or two being most plausible. You do not have to pick the most plausible outcome. Rather pick the outcome that is both plausible and interesting to you and the players. Like with the example of the NPCs above, be aware of your bias. At first keep a running count of how you decide things and if you are bias to a particular type of outcome then make a chart to roll on to change things up. Most people can spot consistent patterns especially in social interactions. Most sandbox campaigns fail. Why? Because of the lack of a good initial context. Many mock character histories and background but if you going to get a sandbox campaign you are going to need a least a half page of specifics for each players and a half page of general information for the group as a whole. Players who enjoy being plunked down in the middle of a blank map and told "Go forth and explore" are few and far between. About as common as players who enjoy playing GURPS with all the options in play at once. Most players want to feel their choices have meaning. Picking one of the six surrounding blank hexes is not a choice with meaning. So work on the initial situation so that it is interesting and give the players enough information to make some valid decision of what to do. This is the tip of the iceberg about a topic I been writing about for the past decade, here is a link to all my blog posts on the topic. The main problem with sandbox campaigns is the initial learning curve and getting comfortable with the free-form nature of how it flows. Once you are comfortable with this type of campaign it gets a lot easier. 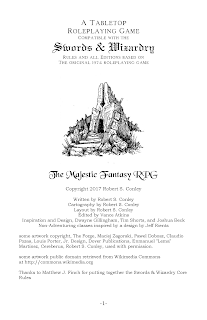 Thanks to the editing help given by Vance Atkins, the final version of the basic rules for the Majestic Fantasy RPG is done!. You can download it from here. If you purchased the Majestic Wilderlands PDF, you will find that this file has been added to the download on RPGNow. This is my previous post which contains my design notes on why I am doing this. In a nutshell, I am planning to release my take on the classic editions as series of supplements instead of an all in one book. However in the process of setting this up I realized I will need some type of basic summary so people can understand how it fits with the overall system. So enjoy and hope you find something useful.